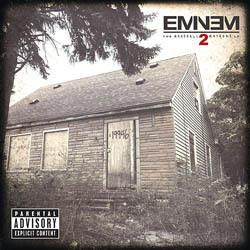 Eminem should have picked a different title for The Marshall Mathers LP2. 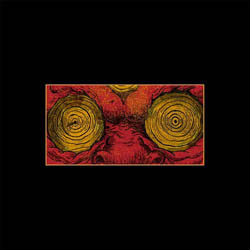 On its 2000 predecessor, he plumbed the ugly depths of the male ID with anguished ferocity, giving voice to blasphemous dreams of criminality and murder. He created a fictional character, “Stan,” that so vividly captured how we the audience – and hip-hop fans in particular – mistake complex rap lyrics for pure autobiography that it has become shorthand for a kind of perverse idolatry. Eminem tried to repeat that performance for many years afterward, or at least live up to it, by wearing us down with increasingly hammy shock tactics. It wasn’t until he repositioned himself as a man who employs self-help jargon to prove his decency in 2010’s Recovery that he found a credible follow-up. 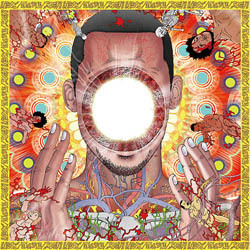 On You’re Dead!, Steven “Flying Lotus” Ellison revisits the mysteries of the afterlife. His 2008 album Los Angeles concluded with “Auntie’s Harp” and “Auntie’s Lock/Infinitum,” tributes to his late great-aunt, the spiritual jazz harpist Alice Coltrane. A second version of “Auntie’s Lock” was included on 2010’s Cosmogramma. 2012’s Until the Quiet Comes explored the human capacity to alter consciousness through dream-like journeys, with the title holding a double-meaning: the moment when REM sleep settles into a deep slumber, and when the body is fully at eternal rest. 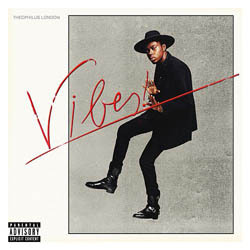 When Warner Bros. announced that Kanye West would executive-produce Theophilus London’s Vibes, it brought much-needed promotion to this Brooklyn sensualist who sings more than he raps, and who spends his off-days lounging at Cannes and taking in runway shows at Paris Fashion Week. He brings uncommonly varied cultural references to his pop raps – his 2009 collaboration with Machinedrum, This Charming Mixtape, featured cover art homage to Elvis Costello’s This Year’s Model, and his 2011 major-label debut, Timez Are Weird These Days, included cameos from Sara Quin of Tegan & Sara and Holly Miranda. That range of sensibilities may attract a fellow dandy like West, but it may also explain why London has only had moderate success in the States. It’s hard to know what he really stands for other than good taste. 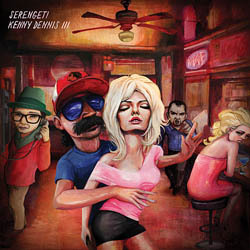 With Kenny Dennis III, David “Serengeti” Cohn continues to develop one of the quirkiest fictions in hip-hop. The storyline emerged on 2006’s Dennehy as a weird Chicago in-joke, just a few songs like “[Brian] Dennehy” and “Ozzie Guillen” speckled amidst an array of sketches — check the creepy drug dealer on “Meth” — and navel-gazing backpacker rhymes like “Critters.” It is now a lyrical meta-verse, with each installment adding details to this 70s pornstache-wearing sports fanatic, O’Douls guzzler, washed up early 90s rapper who once battled Shaquille O’Neal as a member of Tha Grimm Teachaz, and current occupant of a garage. “If I have one fan rate me highly, I could never feel underrated,” raps Black Milk in his slightly stilted Midwestern accent on “What It’s Worth.” It’s one of many albatrosses the Detroit musician – no, really, he plays live drums and keyboards – has carried throughout his career. Another well-worn claim is that he’s a far better producer than rapper, but even his late mentor J Dilla was better at turning a clever hook than delivering an actual rhyme. (“Still won’t let you live out from the shadow of your hero,” he rues on “All Mighty” as he tries to cast another critic monkey off his back.) Unfortunately, all this chatter has led to the kind of polite applause that prevents us from fully appreciating Black Milk’s gifts. His 2008 breakthrough Tronic deserves to be ranked as a minor classic, half-decent raps or not.